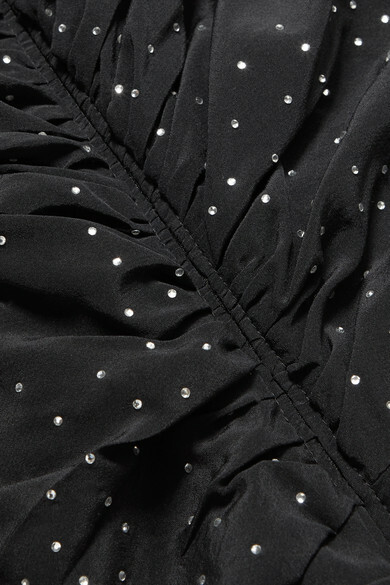 Veronica Beard's 'Amara' dress is scattered with tiny glistening crystals so it almost resembles a starry sky. With echoes of the season's '80s mood, it's made from lightweight silk and ruched along one side to enhance the way it drapes and hugs your curves. Play up the glamour even more by pairing it with chandelier earrings. Shown here with: BY FAR Shoulder Bag, Isabel Marant Sandals.